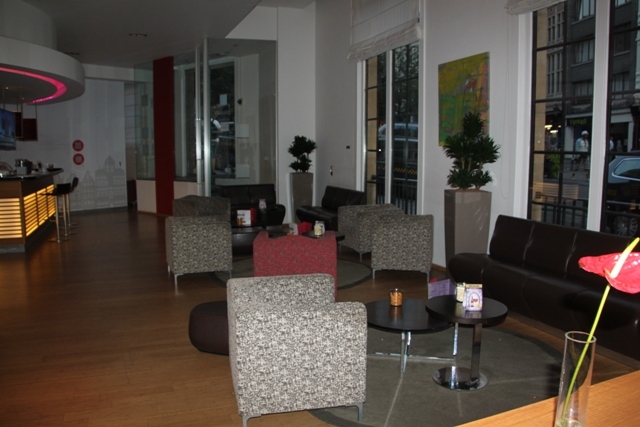 Location, location, location – what it was all about for us when choosing a Brussels hotel. 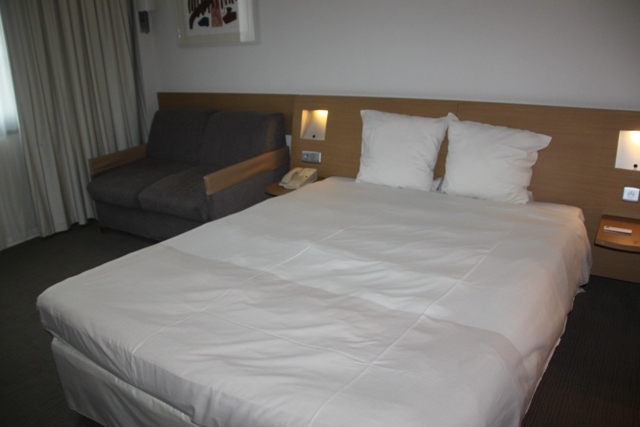 Just one night in the city meant time was a luxury we did not have, somewhere central was our first and top requirement. 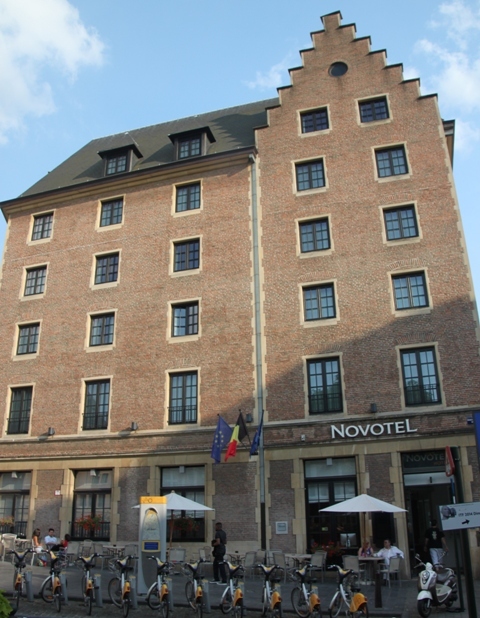 The Novotel at the Grand Place seemed to tick that box so we went for it. Surprisingly easy to find despite being bang in the middle of a big city, an extra bonus was the underground car park next door and at only 14 Euro for twenty four hours parking, I thought a bit of a bargain. Teeny tiny spaces but Husband managed to shoe horn our estate car into one without too much sweat. Great first impressions with a contemporary and bright reception area aided by a friendly check-in then up to our room. This was also a hit – big, bright and comfortable with air-conditioning which, after our sweaty night in Dover, was even more greatly appreciated. 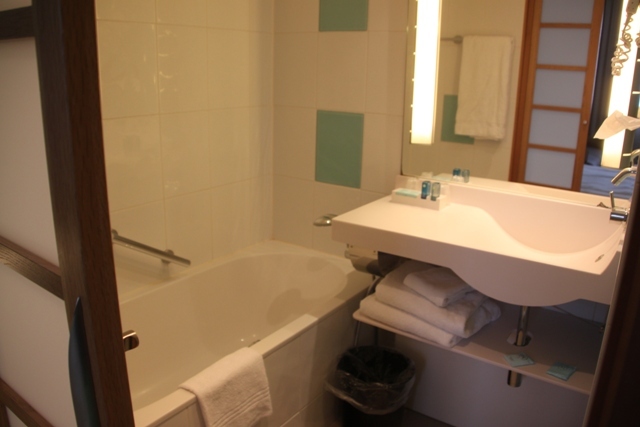 A super comfy bed, a huge bathroom, everything was just right but the icing on the cake was definitely the location. Just steps away from the Grand Place it was all we wanted – maximum sightseeing and soaking up the atmosphere, minimum walking and no underground riding required. 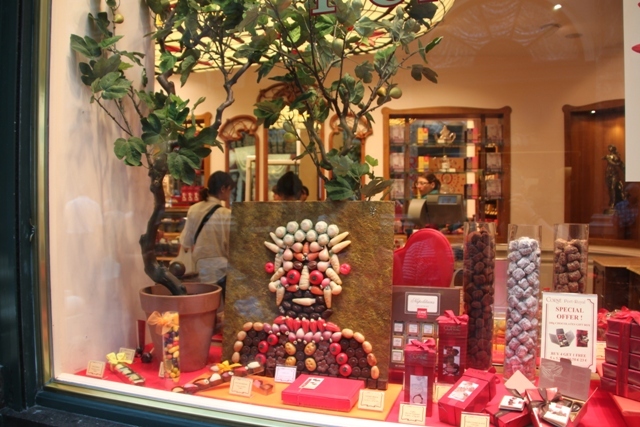 A thrill for me to find the Galeries St Hubert just at the back of the hotel. Europe’s first shopping centre, Son groaned until he went inside and found “the best chocolate shops ever”. Everyone happy, we spent ages browsing in this ornate and beautiful arcade. We emerged famished and ready for food in the Rue des Bouchers. A tourist trap for sure but Son fell in love with the area and gave a convincing argument as to why we need go no further for dinner. Enchantingly colourful lanes full of close-packed fish restaurants I’m sure you get better (and cheaper) food elsewhere but this was one of those times a tourist trap did just fine. We loved the cobbled, hilly streets and plethora of outdoor tables. With similar menus everywhere Son took the job of selecting our eaterie – he went for the place with the chattiest waiter. 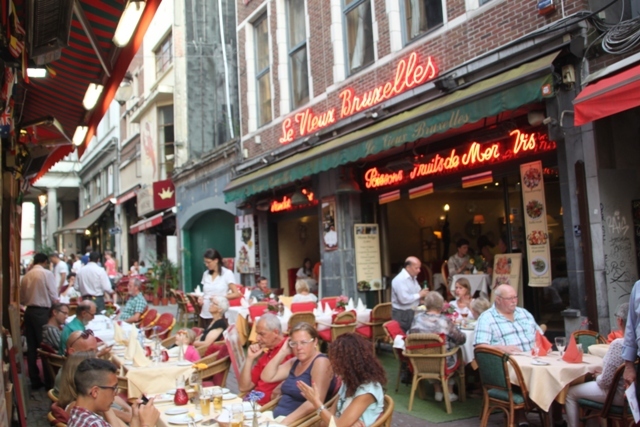 The food was good – mussels and chips washed down with Belgian beer sitting in the evening sunshine – you can’t go wrong with that. Next morning the hotel breakfast also went down a treat. So much choice – including to Son’s delight waffles. He went on to consume his body weight in those treats making sure to avail of the endless jugs of chocolate sauce. A Playstation in one corner of the room (I’m not normally a fan of that) meant a long, lingering breakfast for the adults while the little people enjoyed themselves. We spotted a Smurf from our bedroom window and decided to check him out after breakfast. 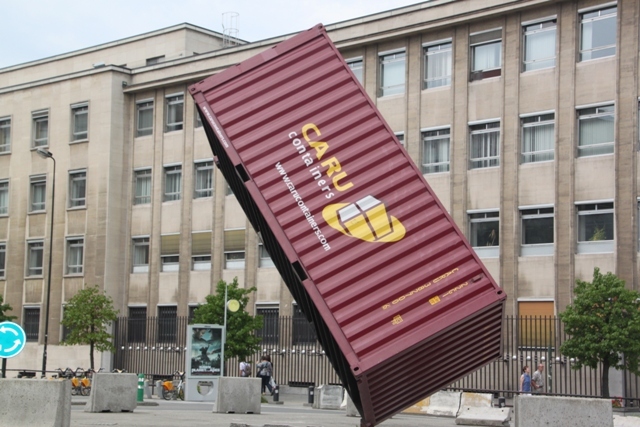 A whole host of other interesting artwork around the city made for an interesting stroll. A quick browse in a gorgeous little market right outside the hotel where we came away with our very own painting of the Grand Place, modern and colourful and done by a local artist, then we were on our way. Next stop Ghent. I’d heard too many bad things about the restaurant row to attempt to eat there, but it sounds like you guys did just fine! I loved all the interesting statues/sculptures as well! I know what you mean Amanda – maybe our expectations were not set so high having read all that stuff so when the food came we were quite pleasantly surprised. We did enjoy the atmosphere a lot too. 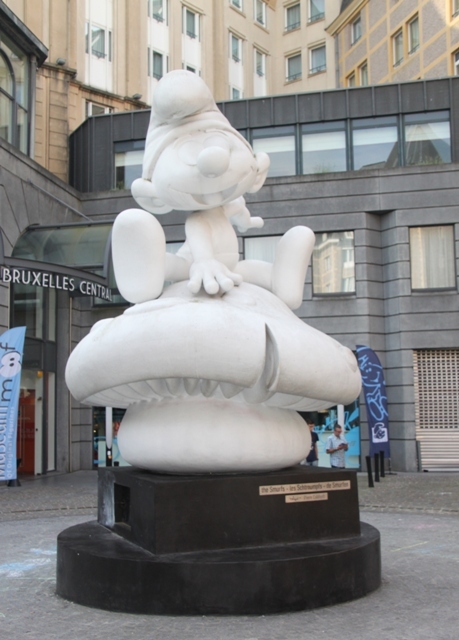 I was surprised with all the artwork – didn’t remember that from previous Brussels visits – maybe I was sleep walking then!! I especially like that Tintin wall painting. the Belgians claim that they invented chips (or frites) and there is a rather unlikely tale attached to the claim. The story goes that the local people rather liked eating small deep fried fishes but when the rivers were frozen and fishing became hazardous they cut potatoes in the form of small fish and put them in a fryer instead! Never heard that story but I like it!! Unlikely ones are always the best. Tintin looked great in that painting – I agree Andrew,. Thank you for coming along! We enjoyed our all too brief stay in this city, already wanting to go back there. It is a great city for children, so much to see and do and lots of fun stuff. He had a great time – but so did we!! Hope you have a great weekend. You almost convince me to give Brussels another try! Love the smurf. We spied the Smurf from our hotel – just had to go and check him out. Our son had never heard of a Smurf – must be a generation thing!! 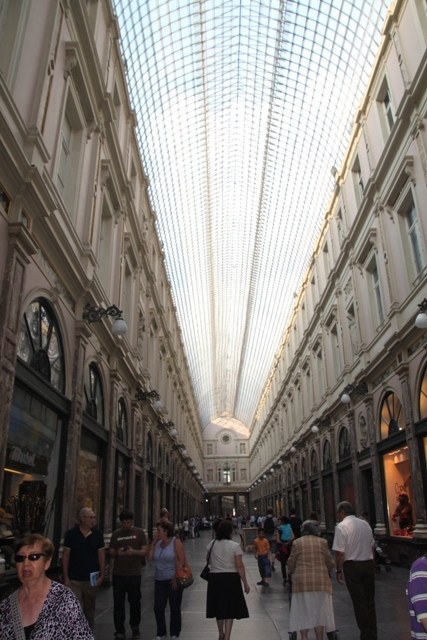 We loved Brussels – the sunshine and hot weather definitely helped though!! Those shops were all gorgeous Rosemary, shopping in general around Brussels seemed great but as usual, I didn’t get to do as much of that as I would have liked!! 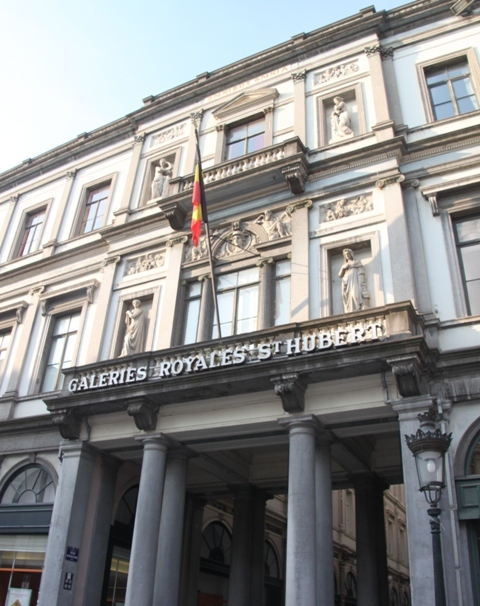 We loved the city and found so much to see and do as a family, in fact later on we actually went back to Brussels for a day, our Son wanted to see Mini-Europe and the Atomium which were also big hits. Hope you enjoy your weekend as well – hopefully your roof is fixed and you’re not shivering too much!! Yes that happens to me too Joy – I never get to do as much shopping on holiday as I’d like – not everyone shares my enthusiasm!! Yes the roof is fixed – we have found a great roof plumber recently and he’s done a wonderful job. Just as well as we had 2 days of torrential rain last weekend and no leaks whatever. We’ve had the fire on most nights so have stayed nice and warm – it’s not been quite as chilly more like 7 or 8 at night but that’s still cool enough for me and I stay all rugged up! Not so bad in the day mid to high teens but there’s quite a breeze today so it feels rather cool to me! 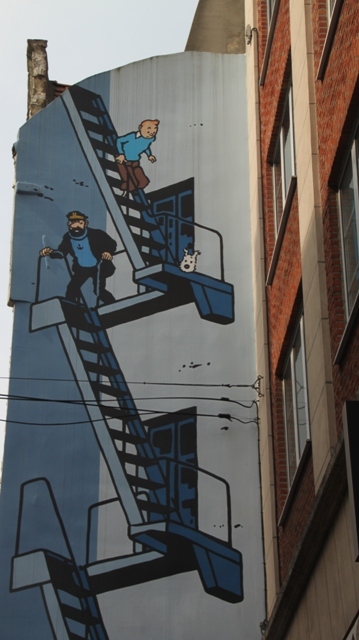 Love the Tin Tin mural! And the picture of the arcade ceiling going on for ever. That arcade was stunning inside. 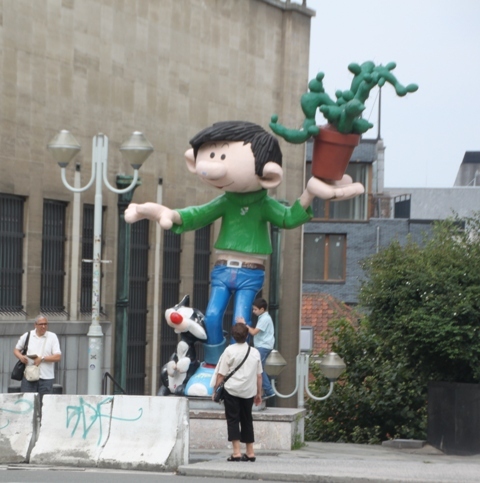 The artwork all over the city was wonderful – made for an interesting walk for sure! Street art is my favourite. It’s so accessible for families! That is one of the reasons I loved Florence so much. I am imagining your son and my daughter would make good opponents in a waffle eating contest – we call her “Cioccolatina” for her favourite food! My son was (getting better now) the pickiest eater in the world, except when it comes to chocolate and he has no qualms about trying it in any shape or form! 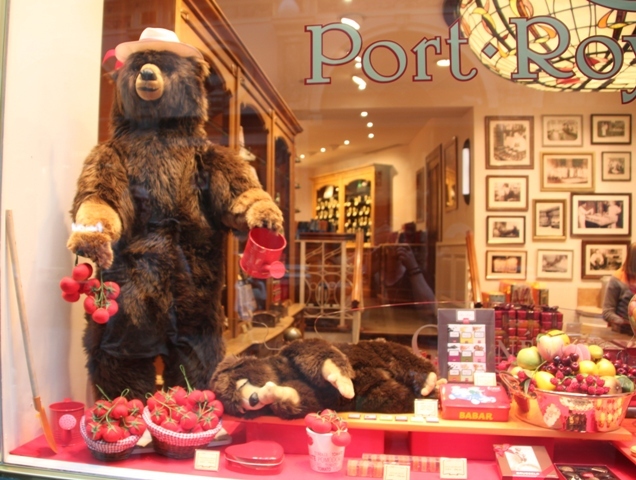 We thought he was the biggest chocolate fiend ever – seems like he has a soul mate!! I hope you got a waffle while you were there! I most definitely did – they were so delicious!! I’m surprised your son didn’t turn into a chocolate waffle! 🙂 I’m just jealous… Sometimes I think it’s more fun to hang around in the tourist traps because often that is where the colour and the atmosphere is! The lanes and all the restaurants look so colourful! I’m dying to go… for the chocolates alone! He is the world’s top expert on chocolate waffles I think – certainly going for the record in waffle consumption on this holiday anyway!! I totally agree about the tourist traps and this was such a great example of that – buzzing with atmosphere and just a lovely place to spend an evening. That gallery was fabulous Jo – the gents in our family are not shoppers either but both raved about this place! 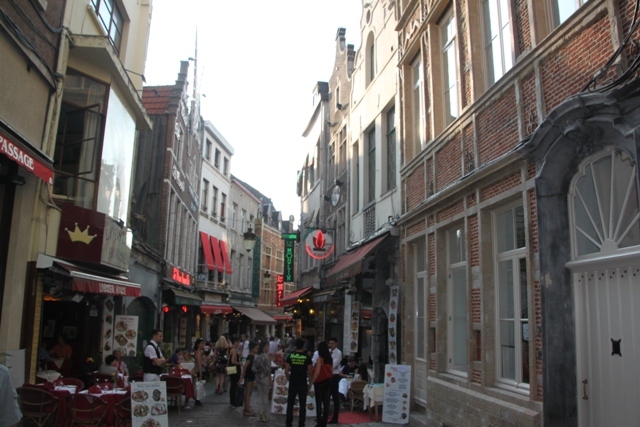 I know what you mean about Brussels, I lived close to the city for a year so am rather fond of it and maybe a bit biased, but on this trip everyone else agreed with me that it was a lovely city and a great place to spend time.